A live recording which was culled to a 12" single of the same name. A continuous recording extending almost the entire length of the CD in alternate variations of the same song. Shrink wrapped digipak packaging in numbered poly CD sleeves, limited to 200 copies. This cd for me personally was a rough draft for an unfinished project. I think echospace knew this going into it but put it out because so many people were asking for them to release their side projects. I'm not knocking the label. Its been several months since I listened to this CD, but if I recall correctly there's about 30 minutes of ambient section, an aggressive and cool sounding dub tech track that is introduced to the mix in a bit of a hurried manner (comes out of nowhere in a dj'ing fader slam type moment which would work well in a club), then 20 or so minutes of ambientish outro. It sounds like separate 3 tracks mixed together. If label re-releases it for 15-20 bucks a copy and you really want one I'd say get it but I wouldnt pay more than that. If you want some echospace releases to chill to I would highly recommend you buy Beyond The Clouds 12 inch or Standingstill 12 inch. You could buy both of those for the same price as one of these and you would enjoy those recordings more I'm almost sure of it. This marks the first new release in 2011 from one of my favourite labels out there at the moment. I was longing to hear something new from them but I suppose they didn't have much to say or prove up until this moment. I thought it would be hard to live up to their last 12" release (of the same name) given the amazing beauty of "beyond the clouds [reprise]" which has now become one of my most treasured releases on this label. I didn't think they could come close to the beautiful texture and atmosphere of the last release but again they have to go ahead and prove me wrong. This is without question my favourite album this year and for good reason, it's a step forward, eerie and yet so beautiful and hypnotic. 75 minutes appears to go by in a matter of seconds (hens the title, "seconds to forever") drifting the mind into the unknown. I would recommend hunting this one down! My first thought upon opening the package for this CD was that I would have liked the "Numbered limited edition sticker" to be on the CD case rather then the plastic slip case. Once I put the cd on, I sat back to discover what this Audio Product had to offer. The first 30+minutes are Drones in the high frequency range. Subtle remnants of the "Seconds To Forever " melody twinkled in the background. Then the Kick drum came in, with some reverb and loose air. The track really pics up for about 20 minutes and wets your palette with nostalgia from the "Seconds To Forever" 12'' vinyl. Melody, rhythm and deepness happen with extra amounts of echospace. The final 15+ minutes are a light, airy, and come down with no beats, but plenty of beauty. 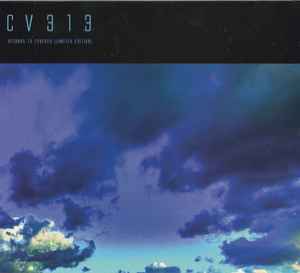 Over all this Audio CD offers its listeners a nice CV313 Live Excursion. From the very opening of this album I nearly sunk into the abyss. I've listened to this album on repeat since its arrival a few days ago and with each listen find a new element or focus point to sink into, it has depth, character, uniqueness and sounds unlike anything I would have expected from these two producers. Imagine you are a fish swimming through a sea gate looking out at the world from an underwater universe, it is bright and full of color: this record defines the term hypnotic. There aren't any suitable words to describe a masterpiece like this, you'll have to hear it to believe. Subtle change is everything and a moment lost would alter the listening experience, treat yourself to this record if you haven't already, it could change your life. It's now one of the most important records in my collection. It's a listening experience like few others. A true forward thinking sonic adventure, thank you Echospace.